Daniel Linssen's The Sun and Moon is a fleshed out version of a really genius idea. While it never strives to become more than just a difficult platformer, it manages to hit all of its marks. If you're looking for something more unique than your average game, then definitely pick it up! One of the coolest parts of the indie gaming scene has been the advent of game jams. These events, that typically last only a weekend, challenge developers to make a game that fits into a specific theme. The most popular of these events is the Ludum Dare competition, which typically sees thousands of entries. 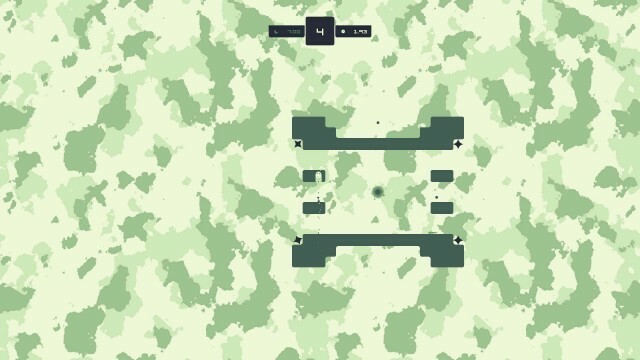 The winner of Ludum Dare 29, whose theme was “beneath the surface,” was Daniel Linssen’s The Sun and Moon. Since winning the competition, the inventive platformer has been fleshed out into a full game for both PlayStation 4 and Vita. The core mechanic that all of The Sun and Moon is based on is being able to dig into the ground. 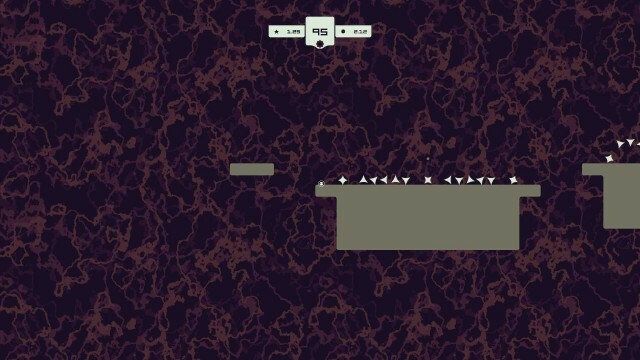 All of the momentum the player has is kept when digging, and gravity is reversed while doing so. This allows you to spring yourself out of the ground and high into the air. It may sound complicated, but it becomes second nature after almost the first time you use it. It’s easy to pick up, and there’s a ton of depth to it. Since the mechanic is so groundbreaking, it makes sense that the focus is entirely on the gameplay. The Sun and Moon has a stylish and minimalistic presentation to it that easily conveys to the player what is happening. The goal in each of the game’s 150+ levels is a simple one: collect three orbs and then get to the wormhole that ends the stage. The joy here isn’t getting to experience a magnificent story, it’s getting to play something that genuinely feels unique. Something that doesn’t happen nearly enough in gaming. While the goal is straightforward, achieving it can be very difficult. 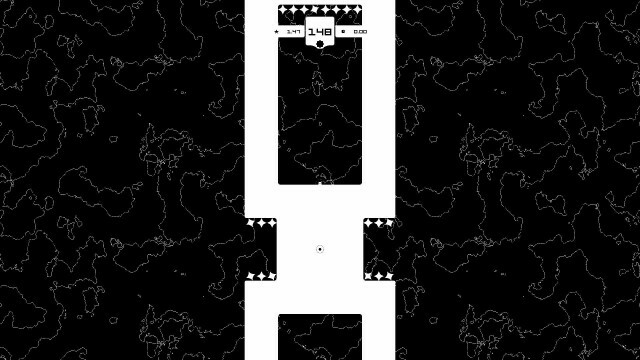 Levels are largely comprised of floating platforms. One missed jump will leave you flying off into the abyss, and you’ll have to start all over again. It’s difficult, but the game is always fair. If you mess up a stage, it’s because you timed a jump poorly or dug too deep by accident. It’s not just the environment that can get in the way either, as there are also a ton of spikes that make sure the player’s movement is precise. As the game progresses, these obstacles become more advanced. You’ll find moving platforms that promise death if you come into contact with them, which makes it even tougher to survive. What’s rad about The Sun and Moon is that a successful run on most stages only takes about 10 seconds. Sure, it might take 10 minutes to nail that run that finally gets you to the wormhole, but it feels so satisfying to pick up that victory. That said, speed runners will find incentives to retry levels hundreds of times as there are medals to collect for completing a stage quickly. These are very difficult to get, and I only managed to unlock a few while playing normally. As mentioned previously, there are a ton of levels in the game. While you’ll have to successfully complete stages to unlock new ones, The Sun and Moon doesn’t have a linear path. Instead, you’ll gain access to a bunch of different sectors that can be played out of order after the initial one. This is great, since if one area’s main gimmick (like disappearing platforms) is giving the player issues, they can come back to it later. It’s a welcome addition and one that helps keep a very difficult game from becoming too frustrating. While there isn’t much to complain about in The Sun and Moon itself, there are some disappointments in terms of it being on both PlayStation 4 and Vita. Though it is a cross-buy title, which means a purchase will allow you access to copies of the game on both systems, it doesn’t support cross-saves. That means you can’t continue with your PS4 version’s progress on the go, or vice-versa. That’s pretty disappointing, as the game is a great fit for portable play, though you wouldn’t want to just focus solely on that version. That’s because The Sun and Moon has a scaling issue on PlayStation Vita. The screen shows the level zoomed in on Vita, and you don’t get the full picture like you do on PlayStation 4. This leads to the gameplay becoming much more trial and error based, as you’ll have to make blind jumps. Sadly, you can’t choose to zoom out the camera, and it’s an issue that makes the PlayStation 4 version the much better option. The Sun and Moon is a genius idea that has been fleshed out pretty well. There’s still room for improvement, though, and the prospect of getting a platformer with a captivating world that uses this mechanic is beyond exciting. For now, however, the gameplay is certainly captivating enough to stand on its own.